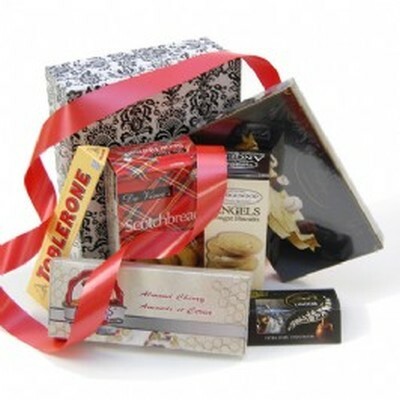 a great hamper filled with delicious kosher snacks including kayleys belgian chocolates, angels cook ies, shortbread, massams nougat, toblerone and lindt truffles. 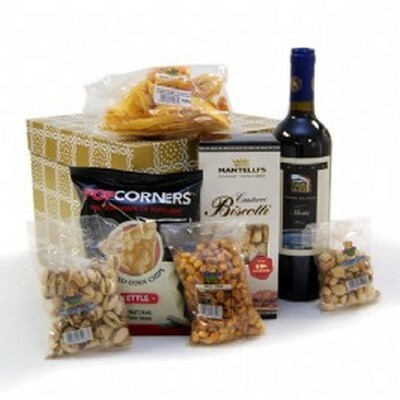 a large box filled with a deliciously smoothe bottle of red wine and a variety of snacks including p opcorn chips, mango, mantelli's biscotti. spiced corn, pistaccios and cashews. 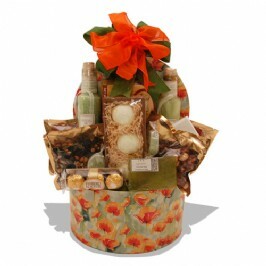 a large box filled with a crispy-fresh bottle of white wine and a variety of snacks including popcor n chips, mango, mantelli's biscotti. spiced corn, pistaccios and cashews. 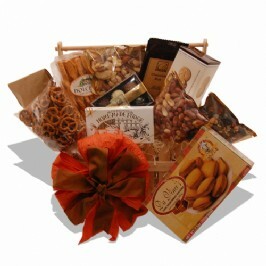 this small basket is perfect for a little snack and is filled with some mixed nuts, caramelized almo nds, tropical dried fruit, peaches, chocolate coated peanuts and some ferrero rocher chocolates. 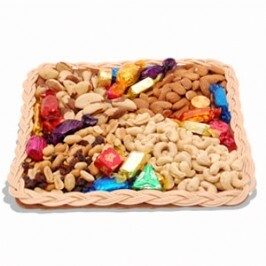 fill the gap with this yummy tray of quality street choccies and assorted nuts. for a deluxe-sized s nack we add biltong, dry wors and a decadent bar of toblerone. the perfect snack tray for the nut lover, filled with 200g caramel peanuts, 150g hot ?n smokey crazy nuts, 150g lemon & rosemary zaney nuts and some yummy ferrero rocher chocolates. a smart woven basket filled with the following. 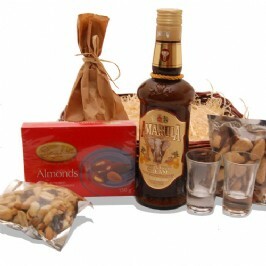 a 375ml bottle of amarula, 2x tot glasses, a box of anytime chocolate-coated nuts, dry wors sticks, brazil nuts and peanut & raisin mix. this wooden box is made up with some all butter shortbread biscuits, seed mix that can be used in a salad or as a snack, cheese straws, some oatcakes, olive tapenade, a cashew bar and some deliciously yummy lindt truffles. a picket styled wooden container packed with special snacks. including pretzels, assorted cookies,10 0g slab of chocolate, nuts, biltong, cheese straws, dried fruit, belgium chocolate truffles and home made fudge. a lovely round basket filled with a cuddly teddy bear, orange shortbread, a heart shaped box of belg ian truffles and almond biscotti. a yummy hamper filled with 2 bottles of the pavilion boschendal wine, one red and one white, biltong , dry wors, some dried fruit and nuts and some yummy truffles to complete this gift. this snack tray is perfect for any occasion and is filled with a mixture of nuts, some chocolate fud ge, jelly cherries, chocolate coated nougat and some lindt truffles. Shopprice is always committed to save every cent of your hard earned money by finding the best and the lowest prices, best bargains and hot deals on snack gift hampers that fits your budget and requirements. 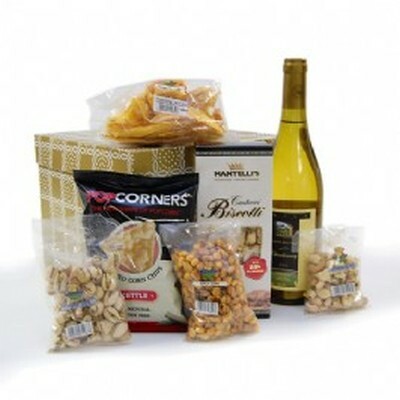 Helping you to get the best deals on snack gift hampers on various special occasions like Christmas Day, Fathers Day, Mothers Day, Foundation day and so on.